Since 1976, Williams Windmill has delivered quality windmill installation, repair, and replacement throughout New Mexico. 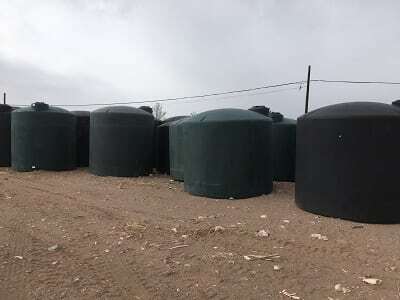 We proudly carry an enormous stock of supplies for windmills and all water well systems and accessories, septic systems and parts, and basic steel and poly pipes. Our supplies are available to homeowners and ranch owners alike at our shop located in Lemitar, NM. We also offer our supplies at wholesale pricing to other businesses. We specialize in submersible well pumps, solar systems, and much more. Reliable service and proven expertise at an affordable price. A complete list of the supplies we carry for all your windmill and solar pump systems. 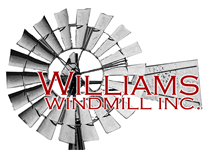 When it comes to windmill and solar well pump systems expertise in the Southwest, there’s no greater partner than Williams Windmill Inc. We’ve been serving and supplying the windmill systems that keep New Mexico running smoothly for over 40 years. Whether your well is in need of a complete upgrade or you simply need a part for your windmill pump, Williams Windmill is ready to handle all your needs. Williams Windmill is proud to have one of the largest windmill supply inventories in New Mexico, offering the best brands at an affordable price for everything from PV panels and poly pipe to AC submersible pumps and structured steel and pipe with every fitting imaginable. Our poly pipe is offered at one of the cheapest prices available in the state. If you need something we don’t currently have in stock, Williams Windmill can acquire it within a few business days.